Can You Spot The Difference Between These 2 Photos? Here’s a Clue. This is my second installment of Kens Konfessions of a Coworking Convert. Here are two South Florida offices for Microsoft. They lease 43,000 square feet with building signage in one of Uptown Fort Lauderdale’s premier properties. They also lease space at Miami’s brand new iconic $1.05 billion Brickell City Centre, which features 260,000 square feet of office space, 500,000 square feet of retail, 800 residential condos, 263 hotel rooms and 2,600 parking spaces. But the difference between these two locations is that the Brickell office is located within a WeWork. I’ve become a big fan of the coworking experience and so has Corporate America. Sure, I’ve had clients tell me they don’t want to work in a “Glorified Starbucks.” But I like Starbucks and I like WeWork. And here is an $800 billion company that shares my opinion. 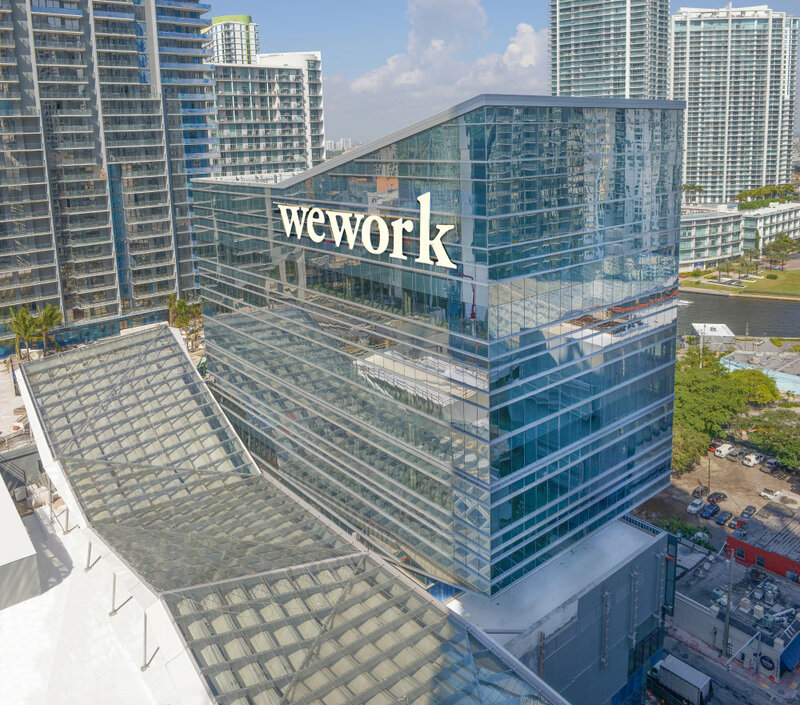 WeWork recently expanded and now occupies over 75,000 square feet of space at Brickell City Centre. WeWork is more than happy to customize spaces for quality tenants and they are able to offer shorter more flexible lease terms than conventional office providers. Microsoft only occupies a small space at WeWork, but companies like Royal Caribbean have leased hundreds of seats in WeWork locations. I share space with Wendy’s Latin American Division at Pipeline, another regional coworking provider. So for those of you who think coworking appeals only to backpack-toting, sandal-wearing, cappuccino-sipping, avocado-toast-eating millennials, the workplace is changing. Corporate America is using coworking as a valuable tool to respond to its rapidly changing needs for space. And the sense of community becomes more important with our increasing reliance on technology. If you haven’t tuned in to the coworking revolution, it’s time to wake up and smell the cappuccino. WeWork isn’t for everybody but I found a space for the “Glorified Starbucks” guy at a Regus coworking facility in Downtown Miami. My partner Vera and I at WeWork Chicago. Truss’ development and management team works out of a suburban office location. Our Downtown leasing team operates out of this WeWork. It was modern, elegant and quiet and located in one of Miami’s premier buildings. There are different flavors of coworking for different tastes. And Regus still has a cappuccino machine. Coworking is booming. Approximately 1.5 percent of the office space in the US is occupied by coworking tenants. Miami, with its booming startup ecosystem is the national leader with over 3 percent of its space dedicated to coworking. Approximately 30 percent of the net office absorption by new tenants in Miami over the past 5 years was due to coworking. It is hard to find a Class-A building in Miami’s Central Business District without it. 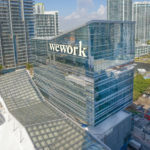 WeWork recently passed JP Morgan as the largest tenant in New York, and we expect the same to be true very soon in Miami. 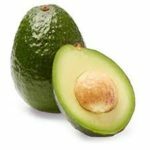 At Truss, we provide an apples-to-apples (avocados-to-avocados?) comparison of costs of occupancy for coworking vs. conventional office space. Today’s corporations should be investigating the use of both types of space to best meet their objectives. Is coworking right for your company? 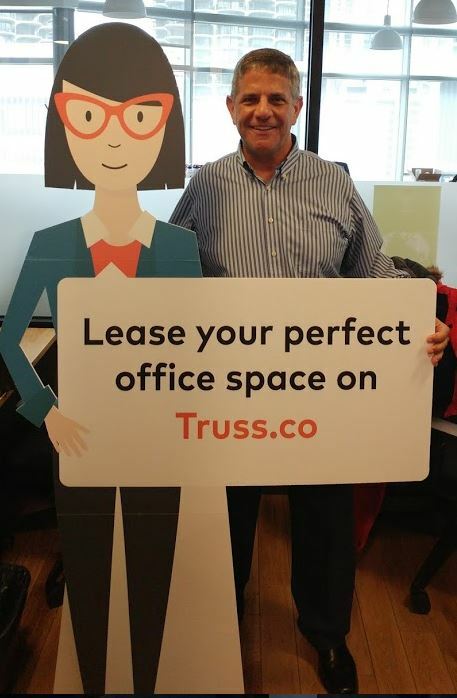 Why not try searching for your ideal space on Truss.co with Vera, our artificial intelligence bot, viewing some 3D virtual tours, and then physically touring with your local Truss Representative (that’s me!). We are the smartest, fastest way to find your ideal space and we are ready to help. Sometimes it will be conventional space, sometimes it will be WeWork and sometimes it will be Regus. Or maybe you’re still happy sipping a cappuccino over a plate of avocado toast at your local Starbucks. 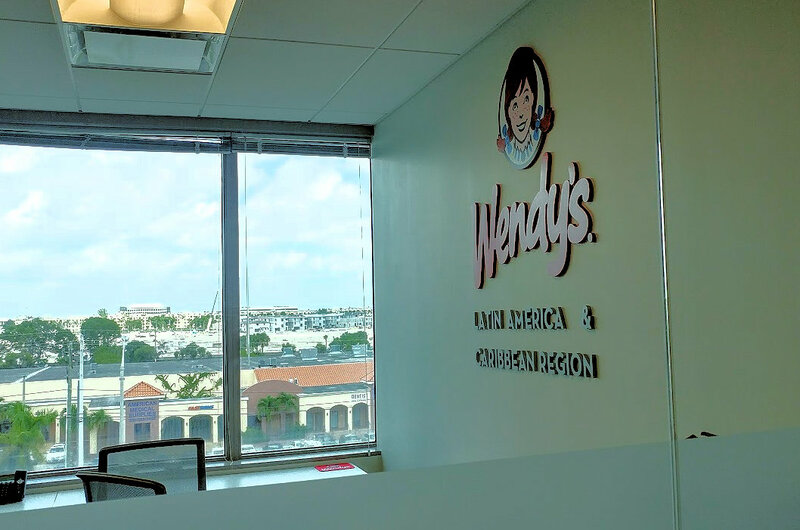 This entry was posted in Commercial Real Estate, Coworking and tagged Brickell, coworking, cypress creek, fort lauderdale, pipeline workspaces, regus, truss, wework. Bookmark the permalink.